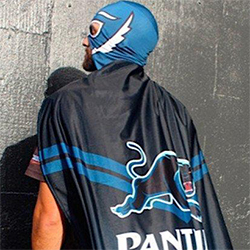 Panthers Leagues Club has celebrated Do Something Day 2018 by donating $150,000 to community development foundation Panthers on the Prowl. Do Something Day is Australia’s biggest annual celebration of giving and random acts of kindness. Channel Nine’s ‘The Today Show’ broadcast live from Penrith on Wednesday morning as Panthers players James Maloney and Nathan Cleary joined Panthers Executive General Manager Phil Gould to complete challenges and increase the amount donated. 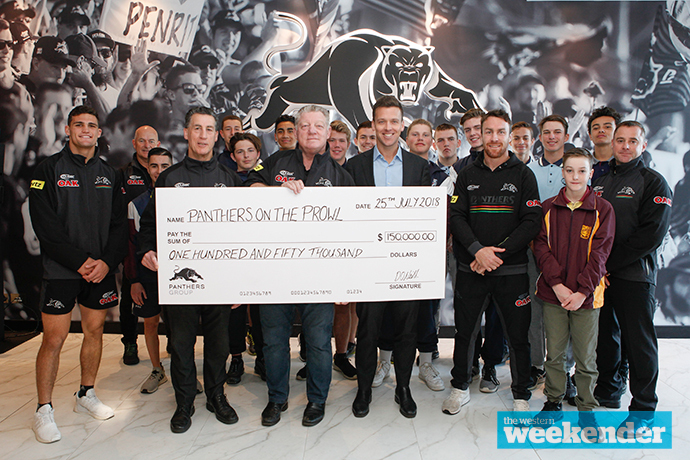 “Giving back to our communities and the people who support our clubs is at the heart of what we do,” Panthers Group CEO Brian Fletcher said. Bad news for boom youngster Jarome Luai, who is set to miss the rest of the season after picking up a nasty ankle injury against the Broncos last Friday night. Luai will now focus on the surgery required followed by rehab, in an effort to be ready for the start of pre-season in November. It seems a new big screen and scoreboard is on the way to Panthers Stadium with Penrith purchasing a 120 square metre screen from Subiaco Oval in Western Australia. The screen made its way from Perth to Penrith by train, and will be installed in time for the 2019 NRL season. Trent Merrin and Isaah Yeo may want to check their watches – both were late to the club’s planned media session on Tuesday morning. There’s no doubt that some questions have been asked about the Panthers’ preparation for last Friday night’s game against the Broncos. The players spent a week in a camp of sorts on the Gold Coast, with Instagram posts from the players revealing a very relaxed atmosphere. If the side had won, the preparation would have been considered genius. But they didn’t, and the players’ heads didn’t look in the game from the opening moments, so the questions are understandable. Broncos star Anthony Milford has revealed his regret over pulling Corey Harawira-Naera’s hair in last Friday night’s game. “Obviously (I regret it). I apologised to him after the game and spoke to him,” he said. Milford was fined over the incident, which prompted a rather hilarious chase from Harawira-Naera. We doubt Milford will be doing it again. Three Penrith youngsters have been named in the NSW Under 16 squad to take on the Under 16 Pasifika side at Belmore Sports Ground on Saturday. Osemen Momoh, Hohepa Puru and Jai Wynbergen have all made the side. I’m hearing a little whisper that one high profile forward could be on the move from the Panthers at the end of the season, before his contract finishes. Most players turn up to the Panthers Academy of a morning with a coffee or a bit of breakfast. James Maloney rocked up on Tuesday with a bag of strapping. Goes to show what the bloke goes through just to get on the field each week.